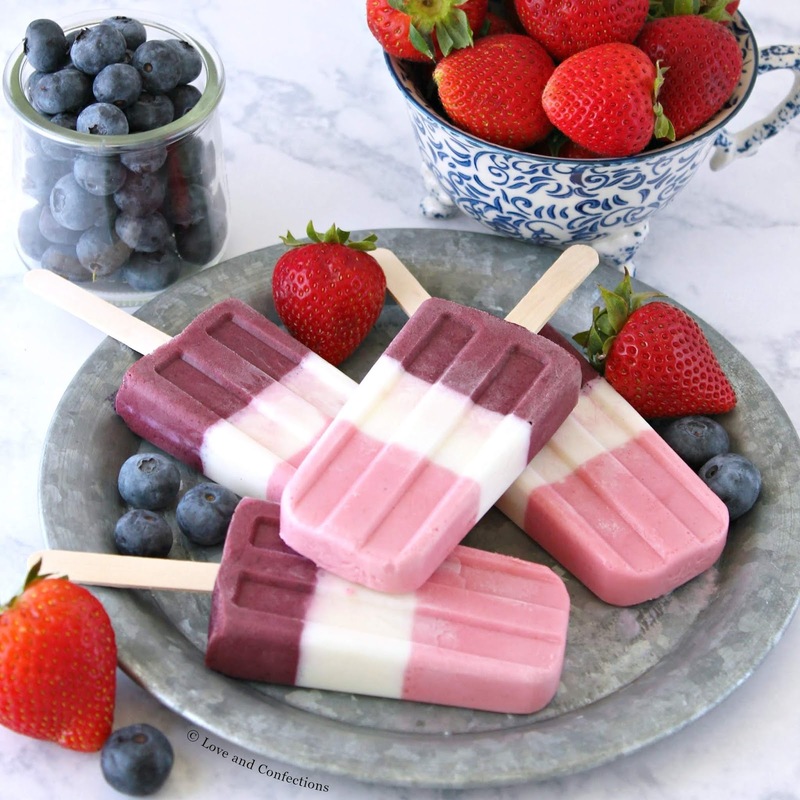 Celebrate every patriotic holiday with these Berry Red, White, and Blue Smoothie Pops. 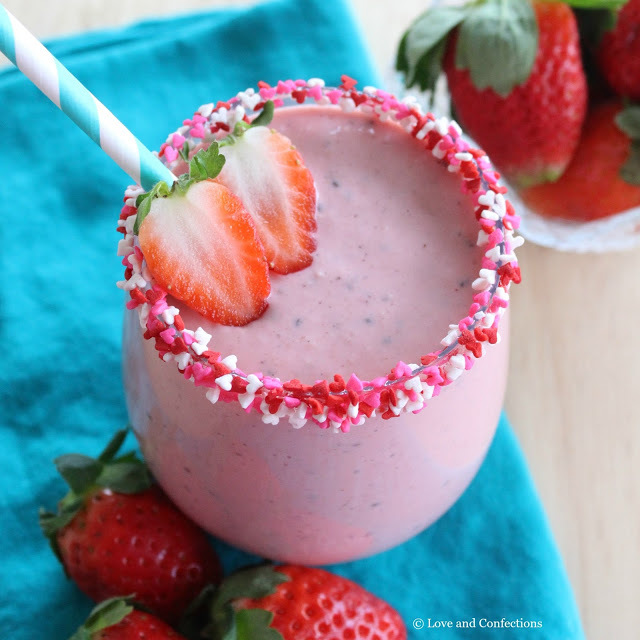 Strawberry, coconut and blueberry are each blended with yogurt and milk, then layered for a patriotic treat! This post is sponsored by Florida Dairy Farmers. All opinions are my own. This post contains affiliate links. The 4th of July is one of my favorite holidays. As a kid, my parents always hosted a big pool party. We had a barbecue with plenty of delicious sides and desserts. As soon as it started to get dark, my parents would set up a large folding table outside while the kids played with sparklers and poppers. Firecrackers and fountain fireworks were usually the first in our large line-up. Mom, in preparation of July 4th, would also grow aloe plants – just in case someone had a little accident that could easily be fixed with aloe. My family loved fireworks and we usually had a huge display that took at least an hour to set off. Everyone on our cul-de-sac would set up lawn chairs either in their driveways, or come down into our driveway. They put on a spectacular show. All the dad would help set up the fireworks and yell, “fire in the hole” while running away. We sat in awe of the bright beautiful colors, naming which was our favorite. 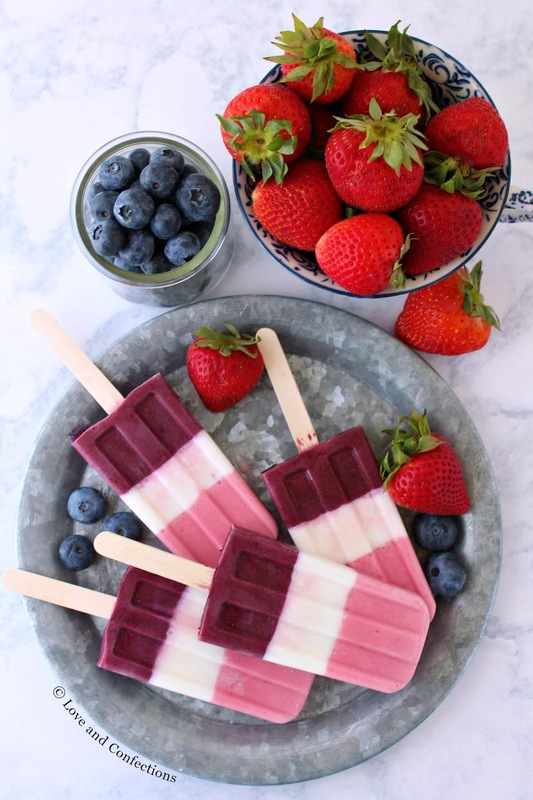 These smoothie pops would have definitely been a great addition to our celebrations. I even ate one for breakfast, because it’s really just a frozen smoothie. It can be enjoyed in the morning, as an afternoon snack, or perfect to cool down while watching fireworks. 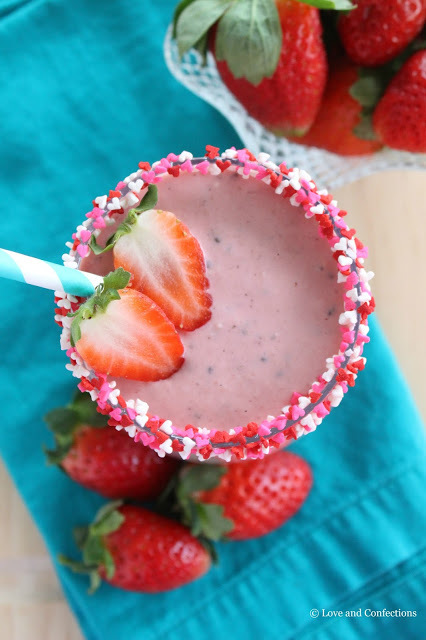 Strawberry, coconut, and blueberry each blend with milk and yogurt for a delicious, frozen, summertime treat. 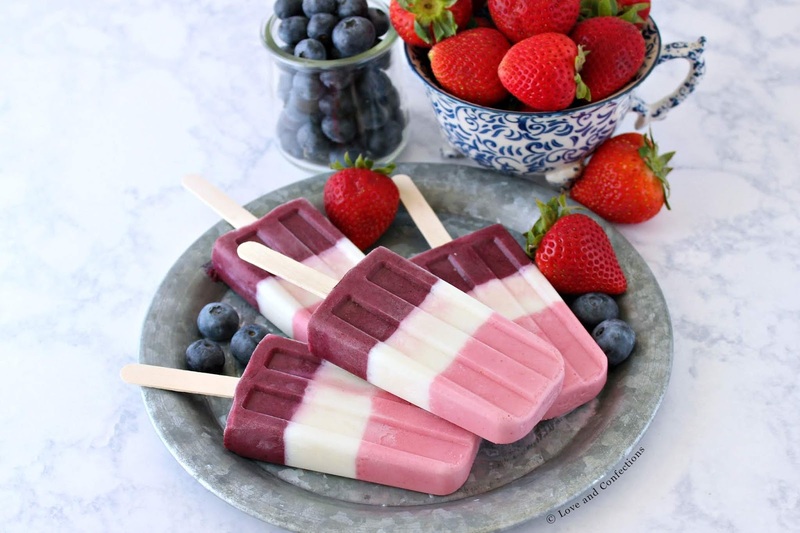 I love these Popsicle molds and use them year-round for all my frozen treats. They’re fun to make and a great way to get kids involved. I love being able to give my Little One both dairy and fruit in a fun treat. I sometimes even sneak in a serving of veggies in my pops too! I hope you have a safe and fun 4th of July! 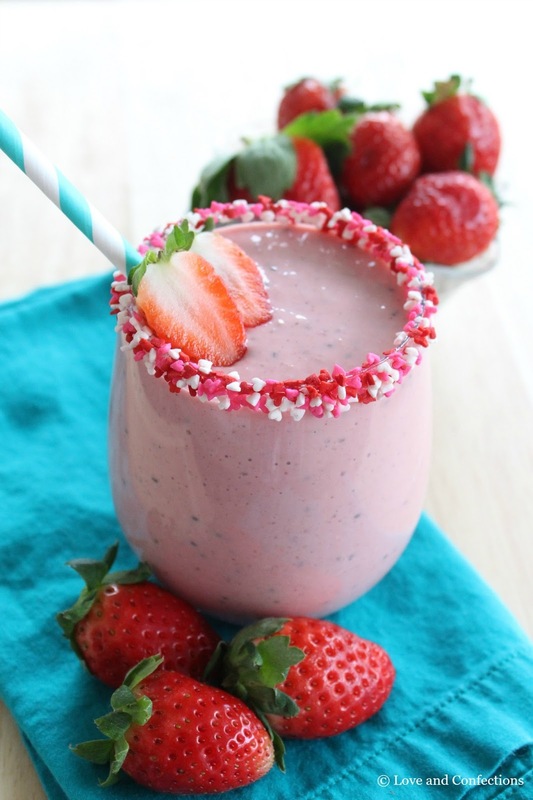 Blend strawberry smoothie in high-powered blender. Pour into bottom 1/3 of popsicle molds. 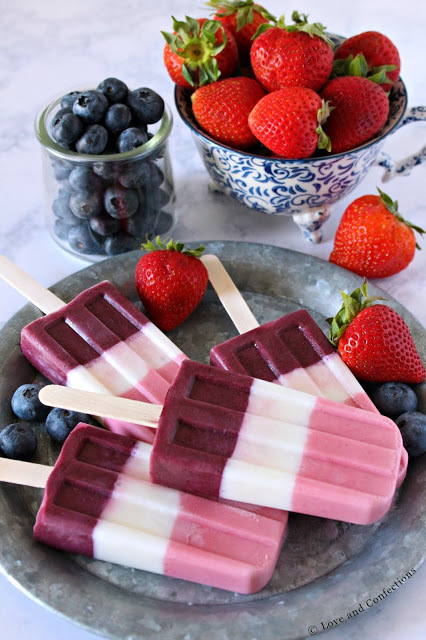 Freeze for 30 minutes then stick popsicle stick into berry smoothie. Freeze for another 1 hour 30 minutes, or until frozen. 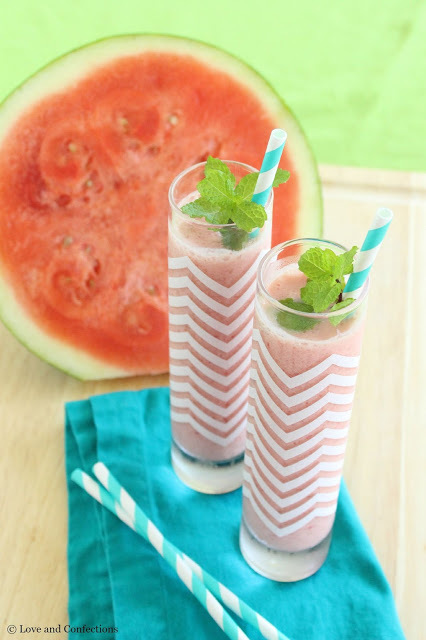 Blend coconut smoothie, pour into next 1/3 of popsicle molds and freeze for 2 hours or until frozen. Blend blueberry smoothie, pour into last 1/3 of popsicle molds and freeze for 2 hours or until frozen. 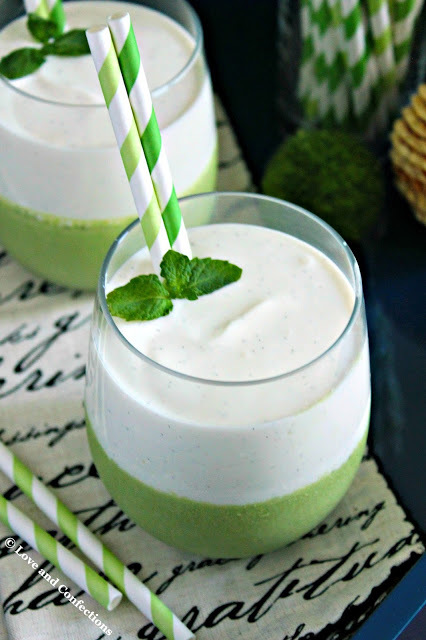 Vanilla bean and mint smoothie is a refreshing and fun layered drink. 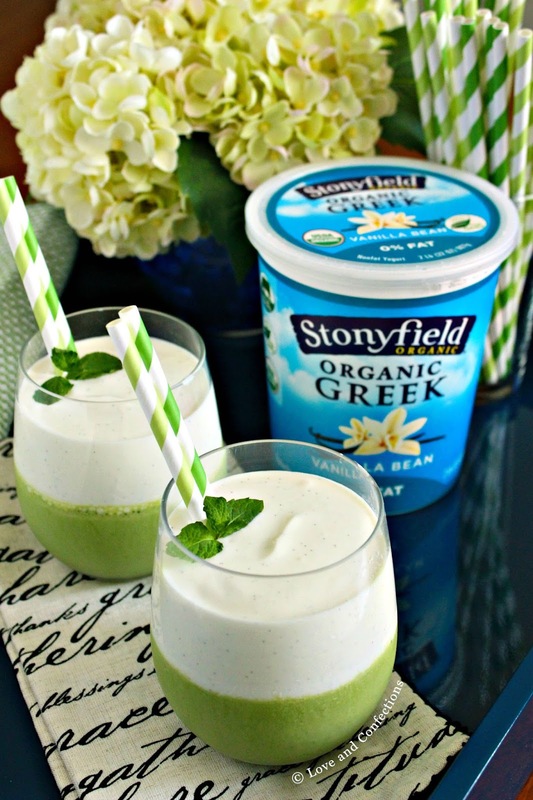 Flecks of vanilla bean float in one layer while mint combines with spinach for a beautiful green layer. 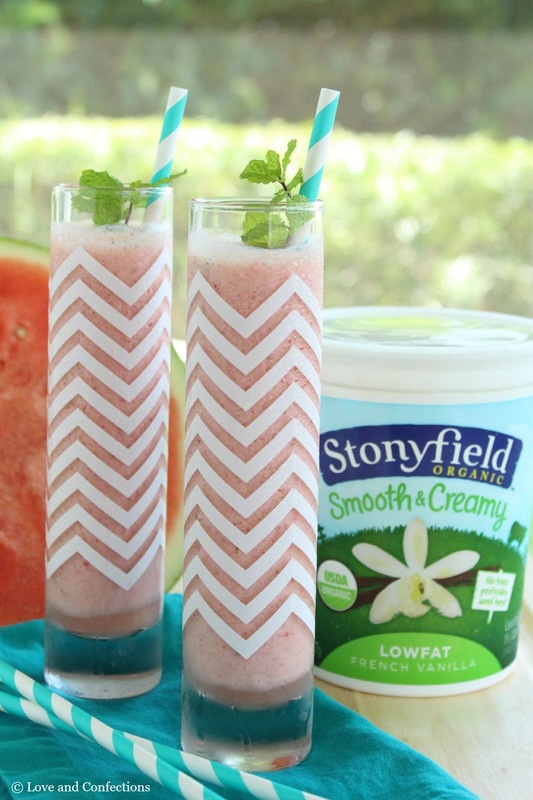 Thank you Stonyfield and Walmart for sponsoring this post. Toddler LnC and I usually have a smoothie every day, and recently I have been wanting to play around with different fruits and vegetables, so we have a variety. A layered smoothie is not only pretty, but a great way to have different flavors. Green smoothies are great for adding extra veggie goodness to your smoothies. Sometimes the toddler will drink a green smoothie, but sometimes I have to camouflage it, and mint seems to be a new favorite. 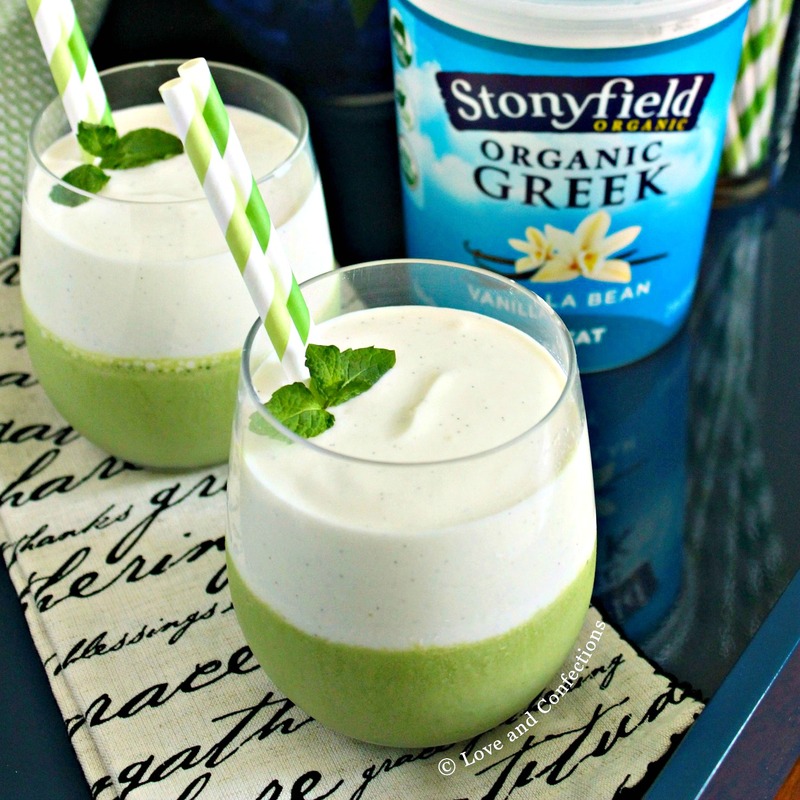 Spinach doesn’t have too much flavor, so when it’s blended with some home-grown mint, it creates a refreshing and vibrant green layer. 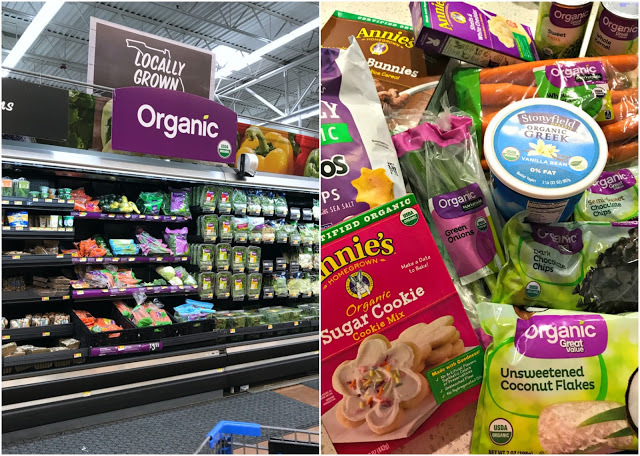 Walmart as started to carry quite a few organic products, including Stonyfield Yogurt! I try to eat organic, but it isn’t always wallet-friendly. Luckily, now that Walmart is carrying more organic products, my family can eat healthier and I don’t have to worry about taking out a loan for groceries. In my latest haul, I purchased a good amount of organic food from Walmart. 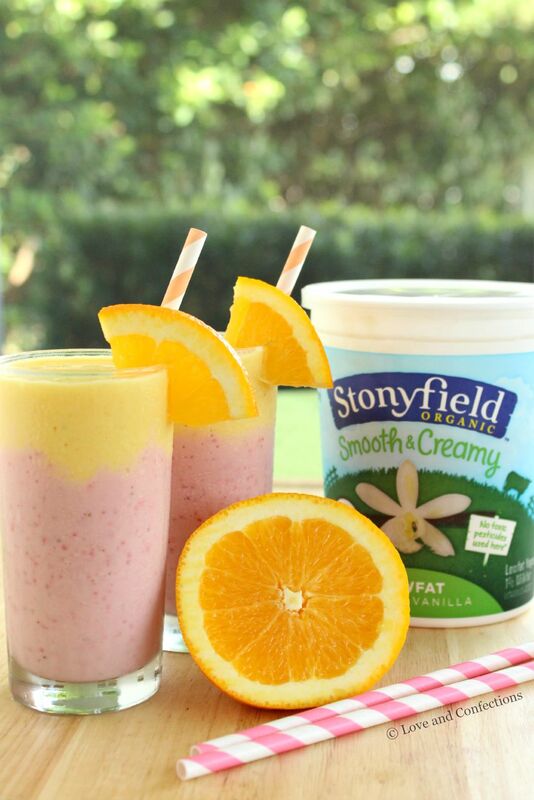 Stonyfield Yogurt is always on our shopping list. I also bought organic sugar cookie mix, cereal and macaroni & cheese for the toddler. Some other organic produce, like spinach for smoothies, and carrots and green onions for dinner that night. I always keep a good supply of organic dark chocolate chips and unsweetened coconut flakes on hand in case I need them for baking. I also stocked up on a few organic canned pantry items. 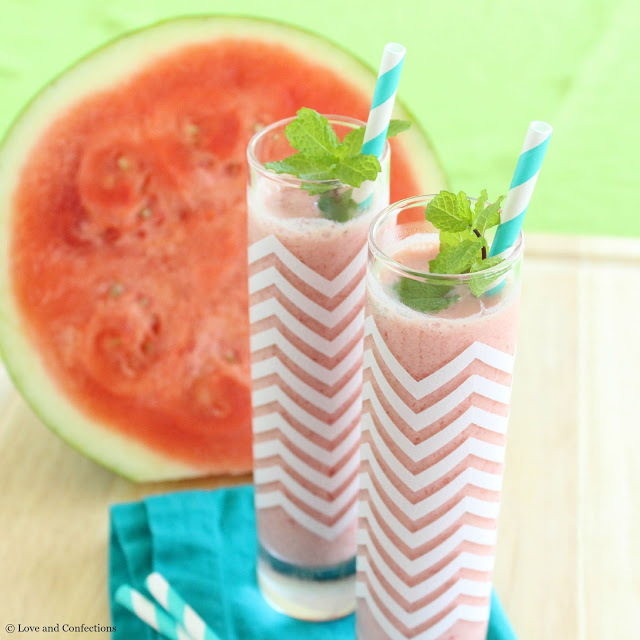 I hope you try a layered smoothie soon, and don’t forget to check out all my Smoothie recipes! 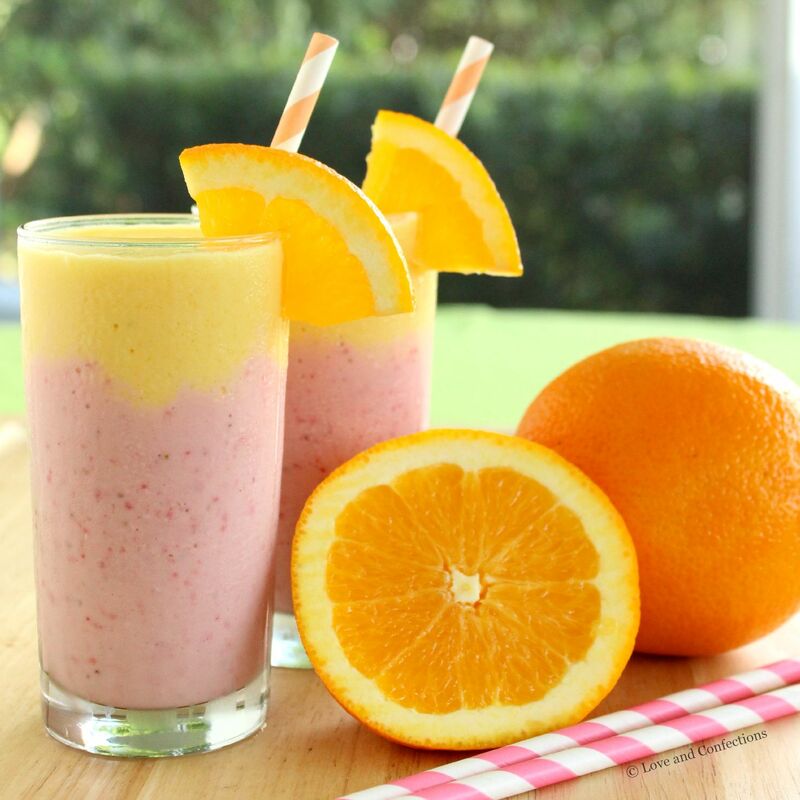 Blend ingredients for vanilla smoothie. 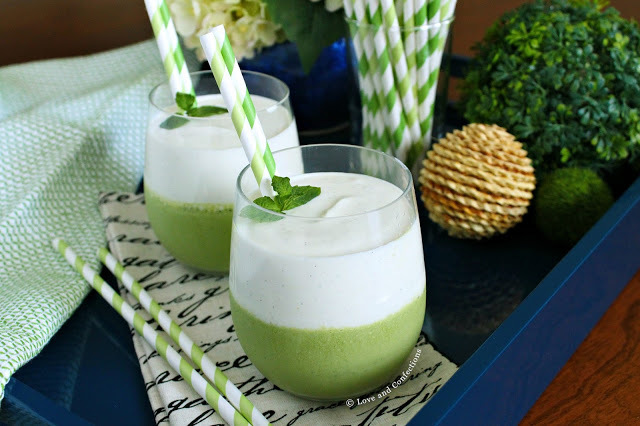 Top green smoothie and enjoy! 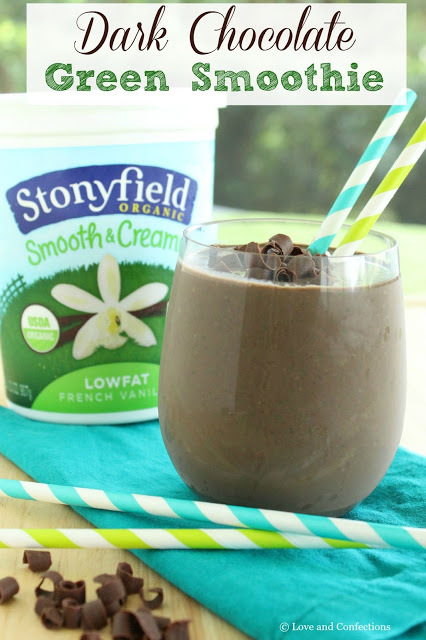 I have an ongoing relationship with Stonyfield Yogurt as a recipe developer and brand ambassador. I receive product, coupons and/or compensation for posts featuring their products. Smoothies are an almost every day event here, but recently I have jumped on the smoothie bowl bandwagon. 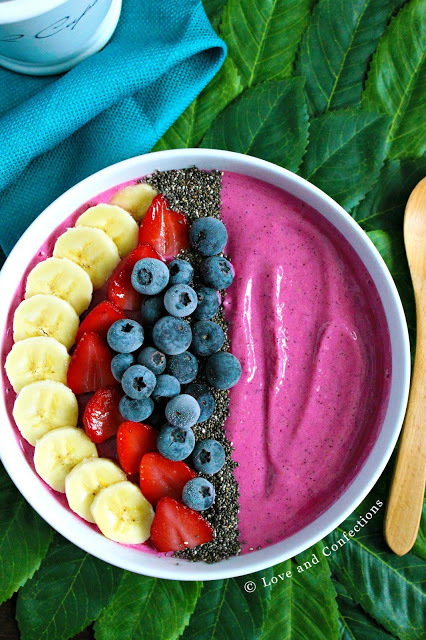 I’m sure you’ve seen these gorgeous bowls all over Instagram and Pinterest, with their colorful hues and beautiful fruits, nuts and seeds. 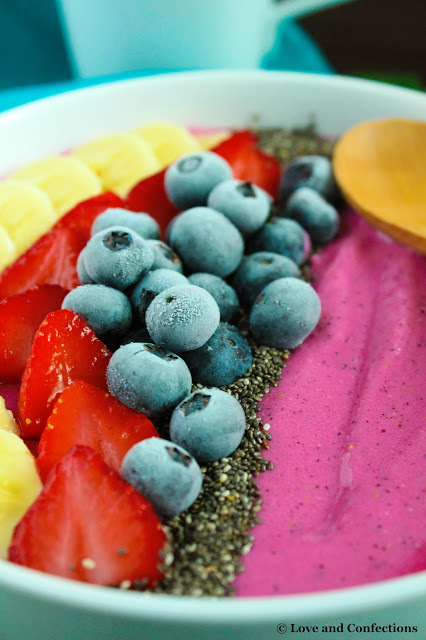 Most of the smoothies we make are drinkable, but the ingredients are a bit different for the perfectly spoon-able smoothie bowl. 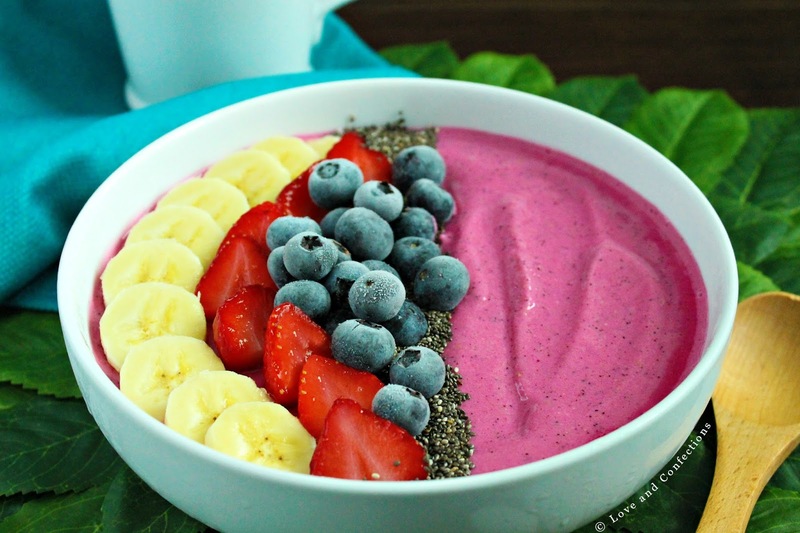 I usually try to make my smoothie bowls a little on the thick side and use milk as my liquid of choice. 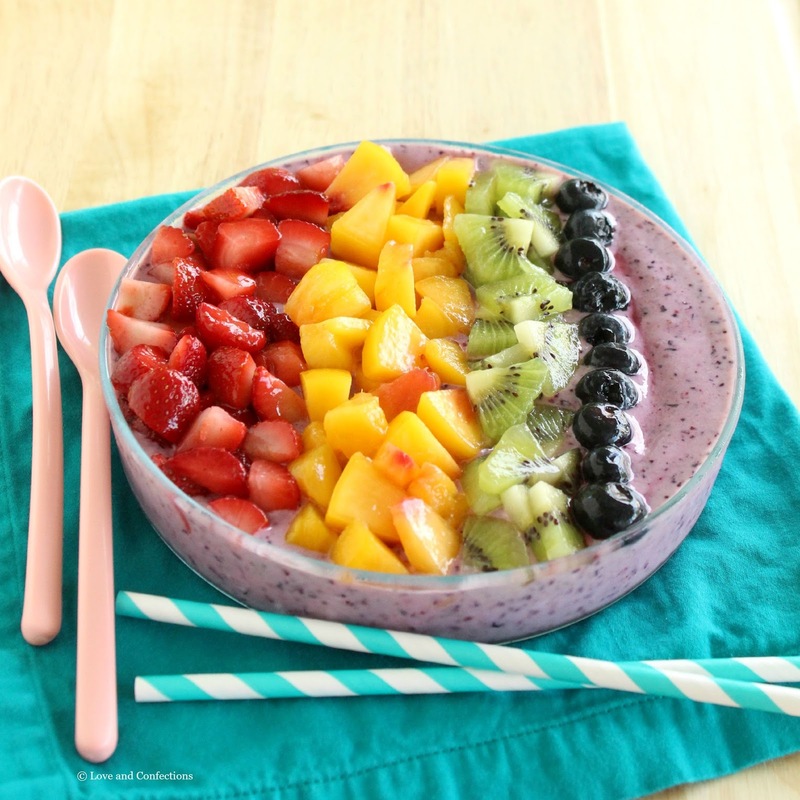 Frozen fruit is key for the ingredients – that way the smoothie stays nice and thick. Milk isn’t just for your cereal or smoothie bowl. It’s a versatile ingredient that can be used in cooking and baking throughout the day, from breakfast to dessert, and everything in between. This is my second year participating in June Dairy Month, and I love working with Florida Milk and learning about Florida’s dairy farmers. Florida is home to more than 100 farm families who work every day to produce fresh, quality milk from their farm to your refrigerator. 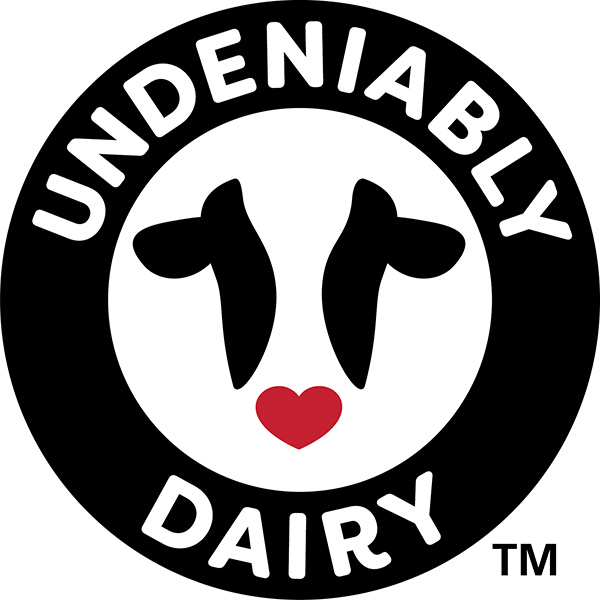 Did you know that more than 120,000 dairy cows live in Florida and collectively produce over 270 million gallons of fresh milk per year? You can find delicious Florida Milk recipes and more on their website, and at these links and by following them on Facebook, Twitter, YouTube, Instagram, and Pinterest. Happy New Year! 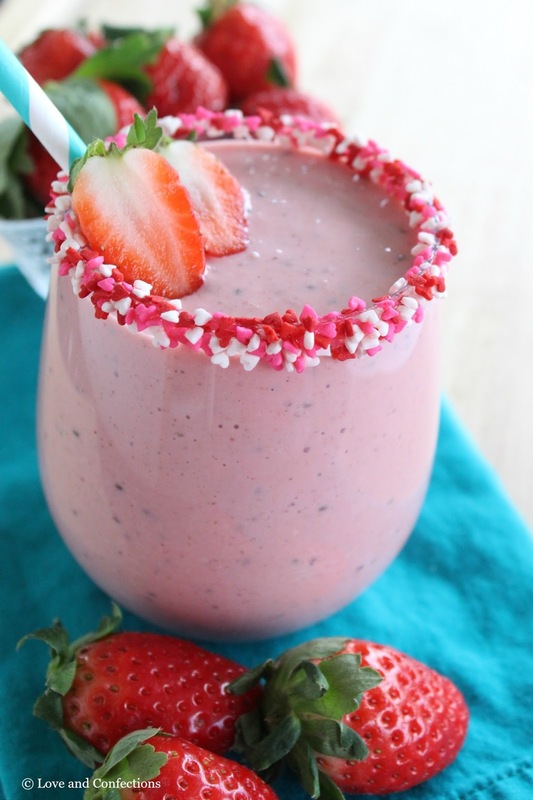 I am starting the New Year off with a delicious and easy Overnight Peanut Butter and Jelly Smoothie made with Jif™ Peanut Powder, oatmeal, and fresh strawberries – perfect for your “New Year New You” resolutions! A lot of my blogging friends have been talking about their “word of the year” for 2016. I love the idea of having a word to keep me focused and help guide me through the year. I have thought a lot about it and think my word for 2016 will be “more”. I want to do more and be more – achieve more in my blogging career, be more organized, spend more time having fun with my daughter, be more conscious of my actions and how they affect others, eating more fruits and vegetables, exercising and taking care of myself more. A lot of my more will take time and practice, but one that I definitely can start right away is eating more fruits and vegetables. My toddler and I love sharing smoothies – we make them a few times a week. I often use the same fruit combinations but want to start branching out and experiment with different fruits and vegetables. The toddler doesn’t particularly like peanut butter and jelly sandwiches – if she had her way, she would live on chicken nuggets, pasta, cheese, yogurt and fruit. She does eat quite a good amount of fruits and vegetables, but getting her to try new proteins is sometimes a challenge. The way my daughter will learn to eat well is by example, and this Overnight Peanut Butter and Jelly Smoothie is the perfect way to start. 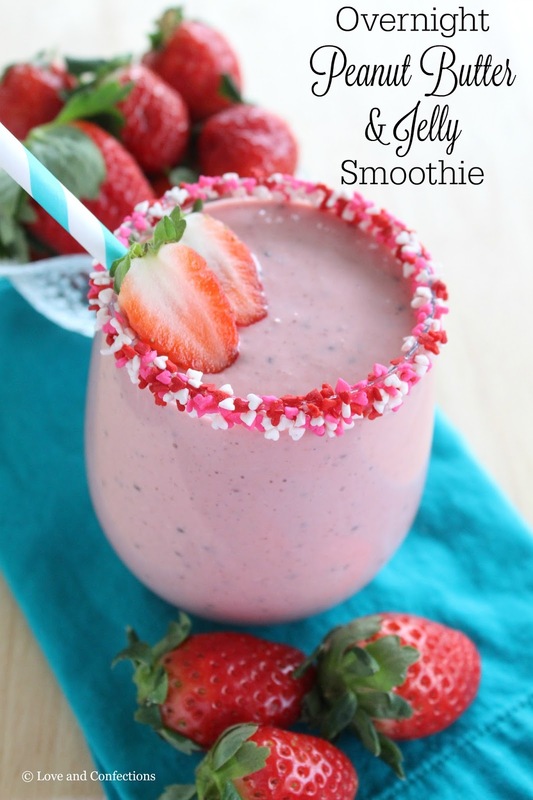 It doesn’t have actual jelly in it, just the flavor profile from fresh strawberries, and soaking the oats overnight create a creamy and delicious smoothie! 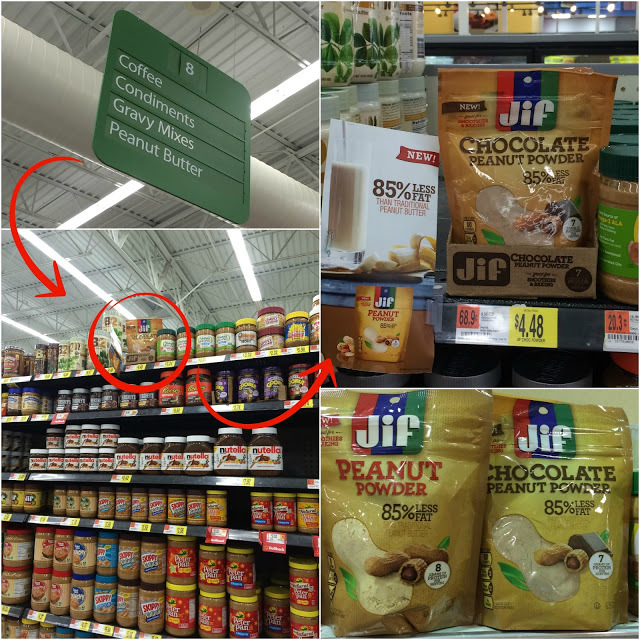 I love peanut butter in general, especially in smoothies, and am so happy that Regular Jif™ Peanut Powder has the same protein as traditional peanut butter, but with 85% less fat. It is made from just one single ingredient – fresh roasted peanuts – no added sugars or salt, like many competitors on the market. My morning routine can now get a face-lift by adding Jif™ Peanut Powder to smoothies, oatmeal, breakfast cookies, breads, and more – the possibilities are limitless! 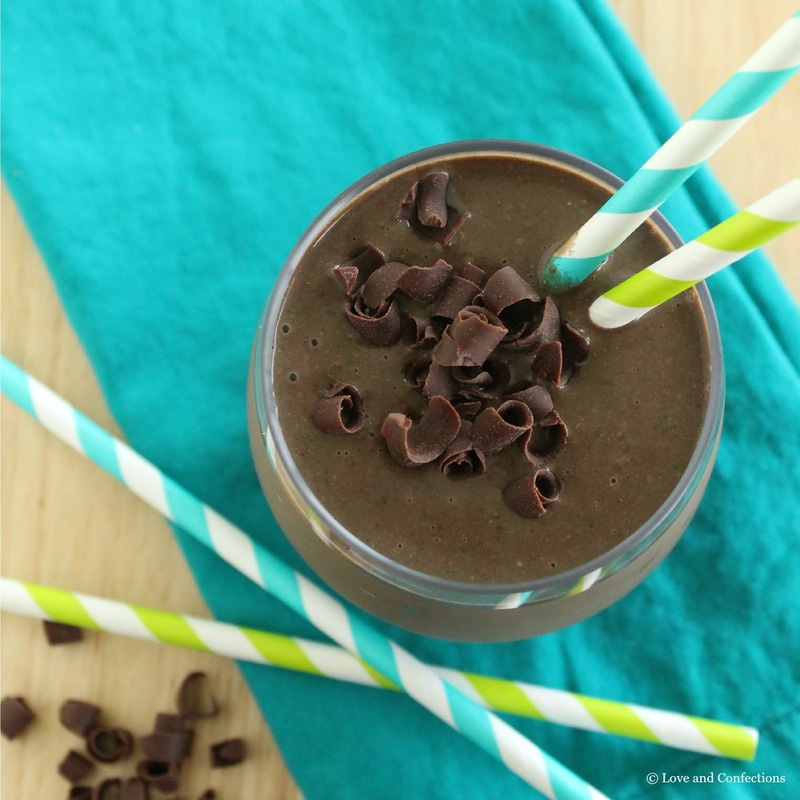 There is even Jif™ Chocolate Peanut Powder, made with semisweet chocolate and a dash of sugar – for those mornings when I might be craving a Dark Chocolate Green Smoothie to start my day! Both varieties of Jif™ Peanut Powder are available at Walmart – and don’t forget to purchase some nutritious fruits and veggies from the produce department too! I hope you enjoyed my Overnight Peanut Butter and Jelly Smoothie. 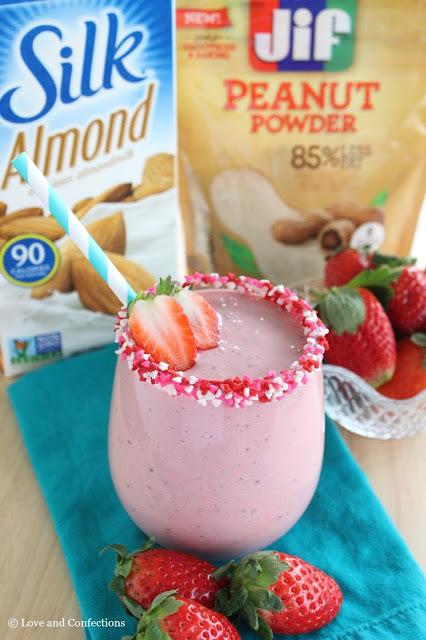 What are your favorite smoothie flavors to create with Jif™ Peanut Powder? Follow Love and Confections | Terri’s board Love & Confections Blog on Pinterest. 1. The night before you want a smoothie, in a medium jar with lid, add the Oats, Chia Seeds, Vanilla Extract, Cinnamon and Almond Milk. 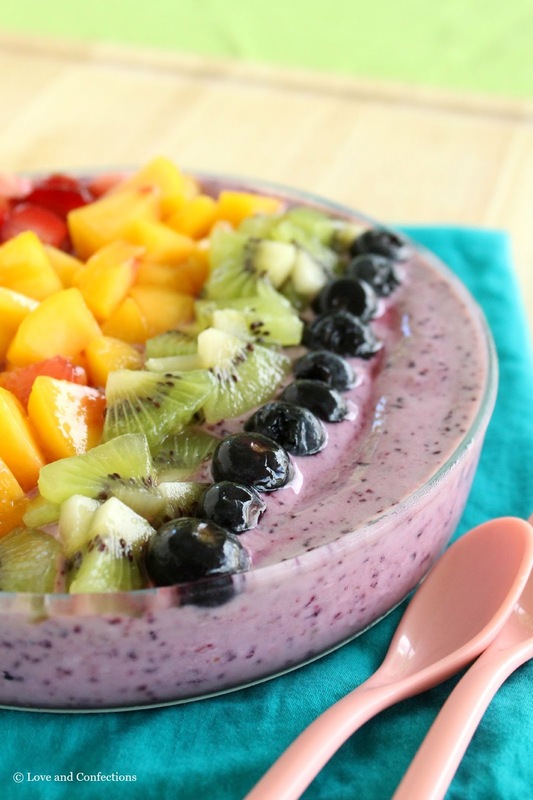 Replace lid, shake to mix and refrigerate overnight. Shaking one more time a few minutes later is optional. 2. The next day, layer the Strawberries, Greek Yogurt, Oat mixture and Jif™ Peanut Powder in your blender or immersion blender container. Blend until smooth and serve immediately. Enjoy! 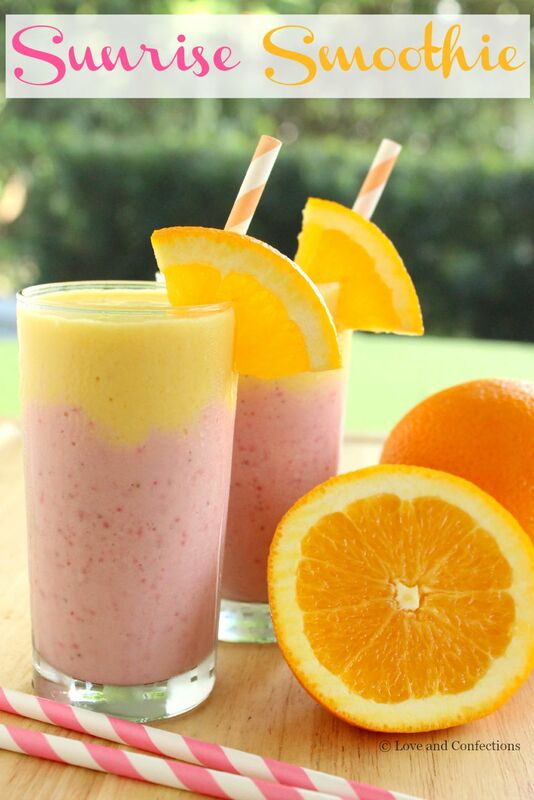 Sunrise Smoothie is a sweet and tasty smoothie, packed with delicious strawberries, oranges and peaches. 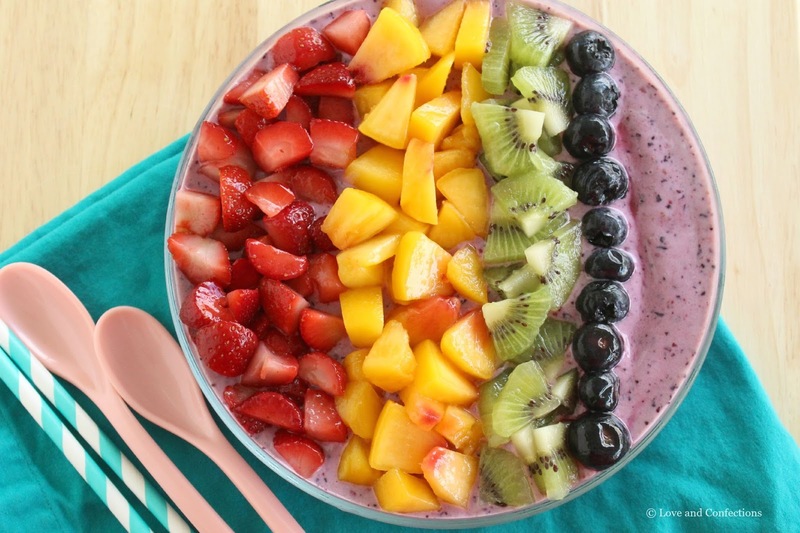 A beautiful presentation of layered flavors is a great start to your day or afternoon snack. This smoothie was a definite hit at our house. I knew it would be delicious because it has some of #ToddlerLnC’s and my favorite fruits – strawberries and peaches. It was a great afternoon snack and she loved it so much, she came back for more after she finished her sippy of smoothie. 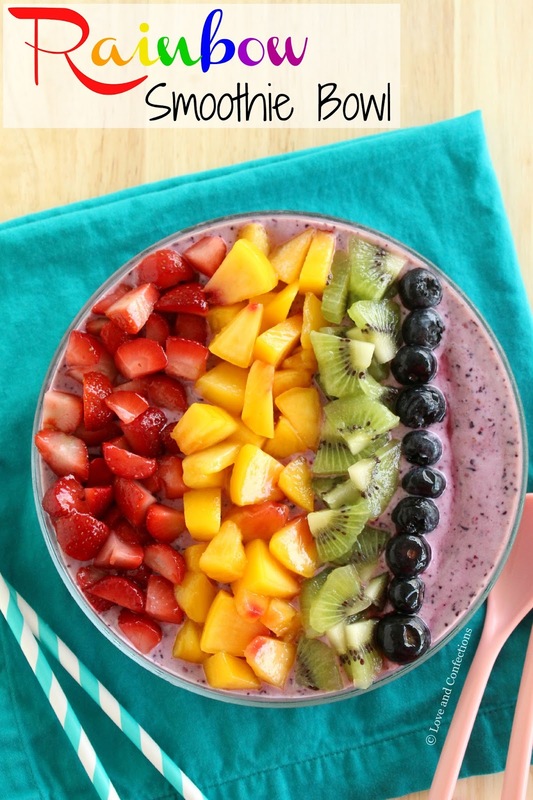 Layering smoothies is a unique and gorgeous presentation. 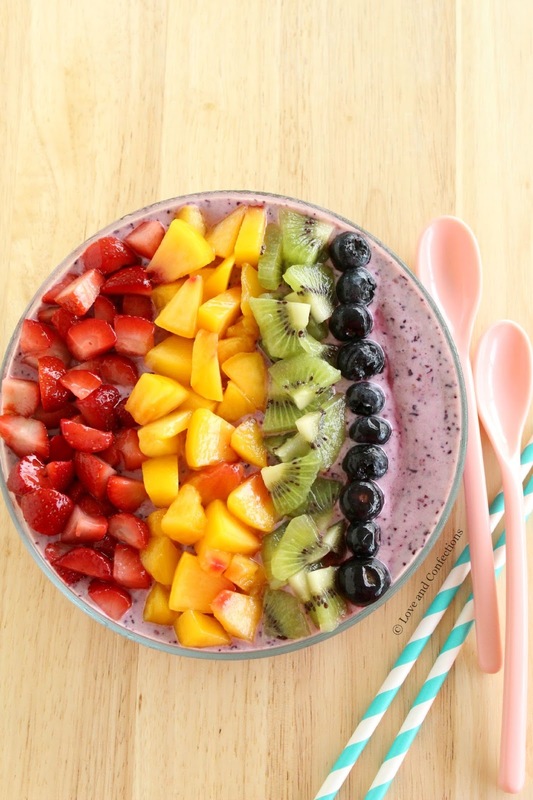 I chose strawberries, oranges and peaches for my layers, but you can also use cherries, raspberries, or blueberries for the bottom layer and pineapple or mangoes for the top layer. Even a green layered smoothie would be pretty. Every combination is delicious. These are great for breakfasts, snacks, desserts, or even at a party. 1. Place all ingredients into blender and combine. Pour into glasses. Rinse out blender. 1. Place all ingredients into blender and combine. Pour on top of the first strawberry layer. Garnish with an Orange Slice. Enjoy! 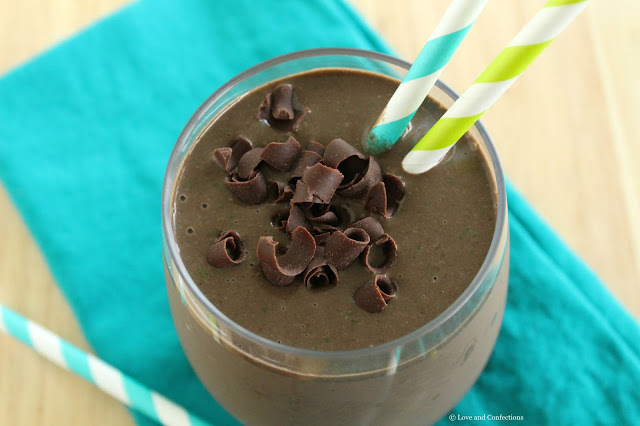 Dark chocolate cocoa powder, almond butter, flax seed meal, chia seed gel, bananas, spinach and my favorite yogurt are blended together into a delicious and satisfying Dark Chocolate Almond Green Smoothie. 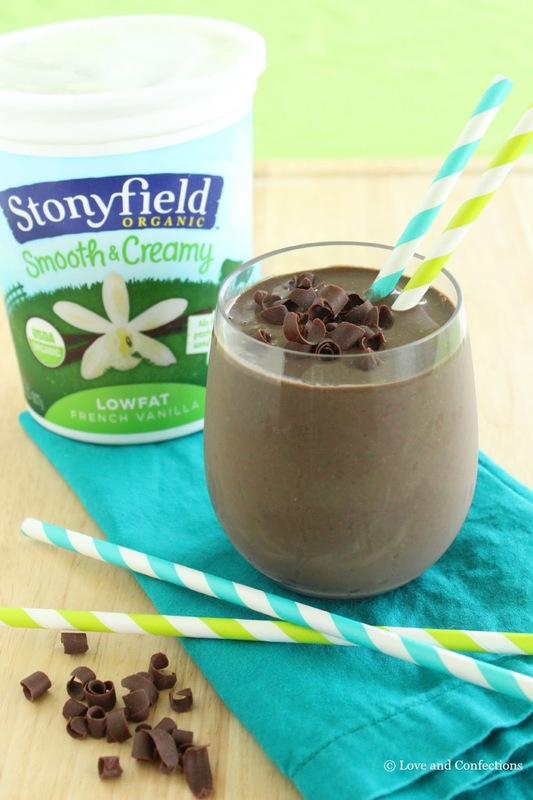 I love using Stonyfield Yogurt in my smoothies. 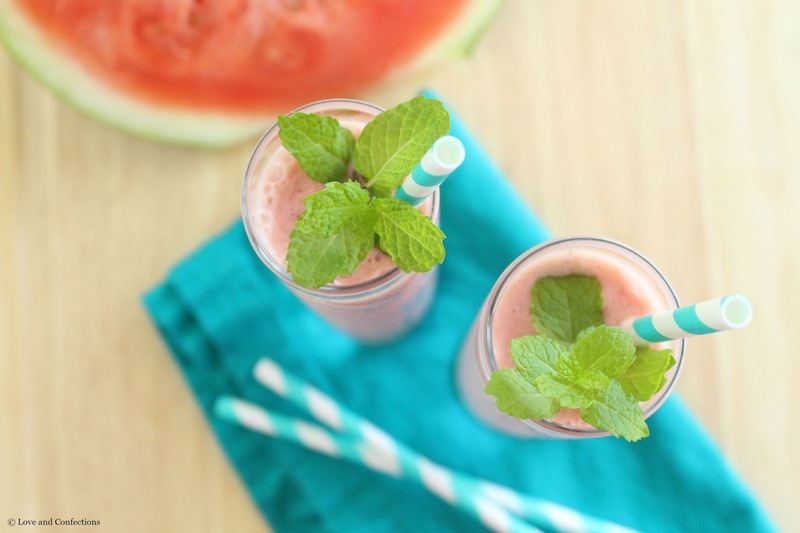 Starting today, I am doing a 5-part smoothie series during the month of August. Many families are getting into back-to-school mode, and sometimes breakfast isn’t all that easy. Over the next 5 Saturdays, I’ll give you some great options for smoothies. 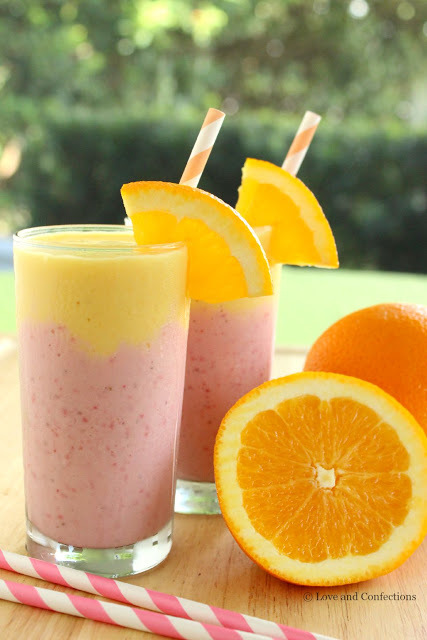 Throughout the next few weeks, I am also going to have a few round-ups for smoothies and healthy breakfasts. 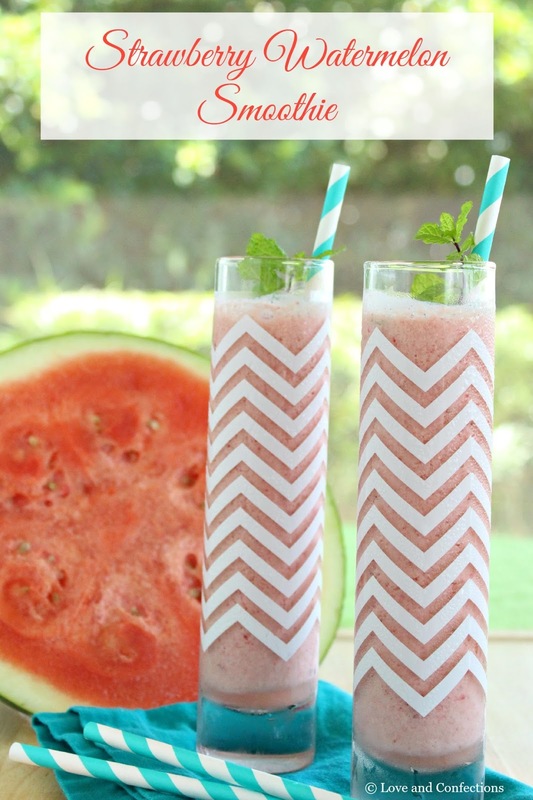 Don’t forget to come back throughout the month to read about my delicious smoothies. You can also follow along with the hashtag #LnCSmoothieSaturdays on social media. My toddler loves when I make us smoothies, so I try and incorporate a lot of tasty and healthy ingredients into them. During the Spring and Summer, we have a great deal of fresh fruit on hand. We use strawberries and blueberries during the Spring and cherries and peaches make their way into our smoothies during the Summer. During the Fall and Winter, I also use a good amount of frozen fruit that I have either picked from organic farms or bought from the grocery store. #ToddlerLnC loves bananas, so we usually add one to our smoothies if we haven’t already eaten one earlier in the day. I also use chia seed gel – which I love! 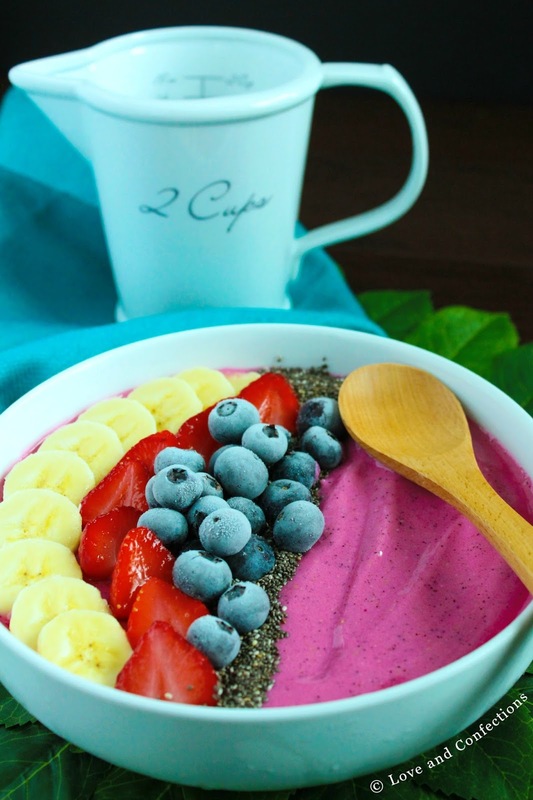 Chia seeds not only go in our smoothies, but also into my overnight oatmeal and baked goods. I recently started using flax seed meal and like the nutty flavor it adds. If possible, I try to add some green veggies into our smoothies so I get some extra good food into the toddler! I don’t have a high-speed, powerful blender, and usually burn out motors on regular ones because they can’t handle the ice crushing or smoothie making. If I make a green smoothie, I often find bits of the leafy greens not mixed in completely. I am used to not making my smoothies with ice, because of the blender issue also, but feel free to add ice to any of these smoothies in the series. 1. 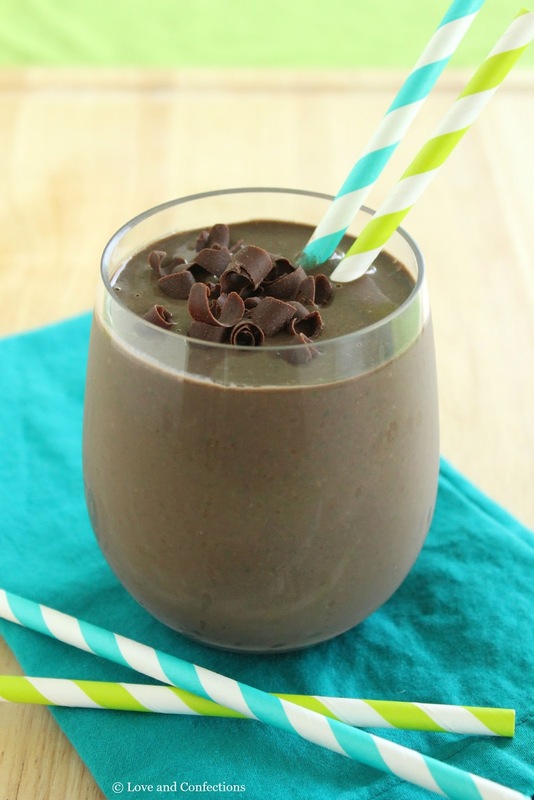 In a blender, or with an immersion blender, add Yogurt, Nut Butter, Cocoa Powder, Chia Seed Gel, Spinach, Cinnamon, Flax Seed Meal, Honey and Vanilla Extract. Blend until all the ingredients are thoroughly combined. Blend in Crushed Ice, optional. Pour into glasses and enjoy!